You can have a yard full of beautiful cactus without paying thousands of dollars to a landscaper or nursery. Educate yourself, then Do It Yourself. If you design your own yard, it will be more unique because you created it. You will love/hate spending many hours outside working in your yard. You will learn what works and be able to keep your plants looking beautiful. By learning about low-water and drought-tolerant plants, you can control how much water you use. In the end, you can have a beautiful desert landscape and spend a lot less on both the initial landscape and its maintenance. After all your planning, you can finally start creating! The more complex your design is, the longer it will take to implement. So plan on spending multiple seasons landscaping your yard–it will give you time to see what works and get everything just right. A landscape is never static. To look natural, avoid planting anything in a straight line. No rows of trees or bushes. Stagger, even if you can only do so by a few feet. 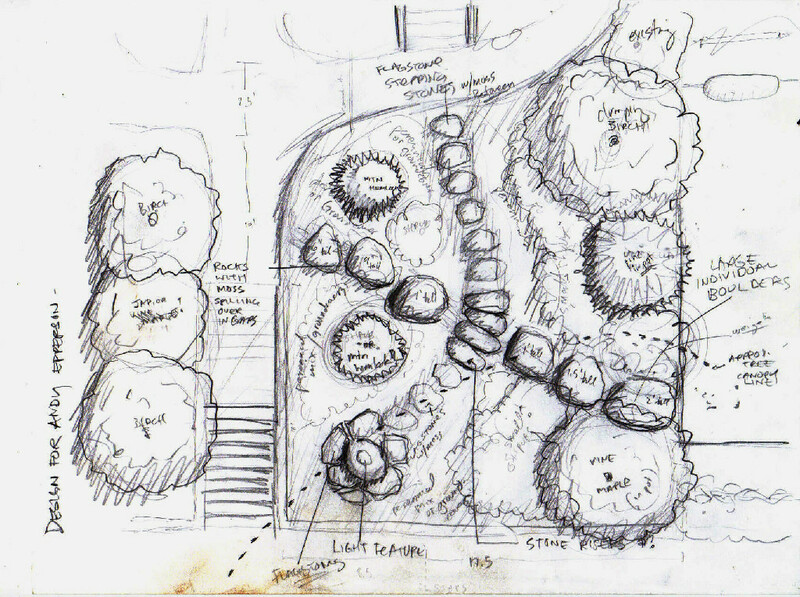 When drawing out your design, plan for the mature size of plants. In a front yard design, preserve a line of sight to your entryway from some point in the street. Add architectural touches with non-plant items. For example: paved surfaces, arches, outdoor furniture, boulders, yard art, colored glass, ramadas, pools, fountains, etc. In a backyard, design space into outdoor “rooms” with a function. For example: eating area, vegetable garden, walking path, screening plants, pool area, sitting area. A larger yard should be divided into more rooms, not just bigger rooms. You can save on your home’s heating and cooling bills by planting trees in specific positions. Plant in a manner that provides shade in summer and sunlight in winter. Basically this means shade trees on the east and west sides of your home. Look up passive solar architecture for more information.